For many of us, the growing season for the most part was good. Most were able to get hay up in a timely fashion, although I did get some rained on. 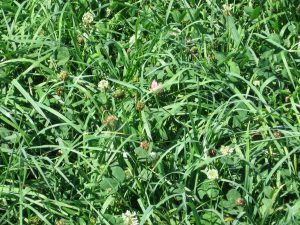 Pastures grew well throughout the season until a dry period after Labor Day. Now is time to assess your stored feed supplies for the winter to determine if you will have enough. If you do not, what are your options? 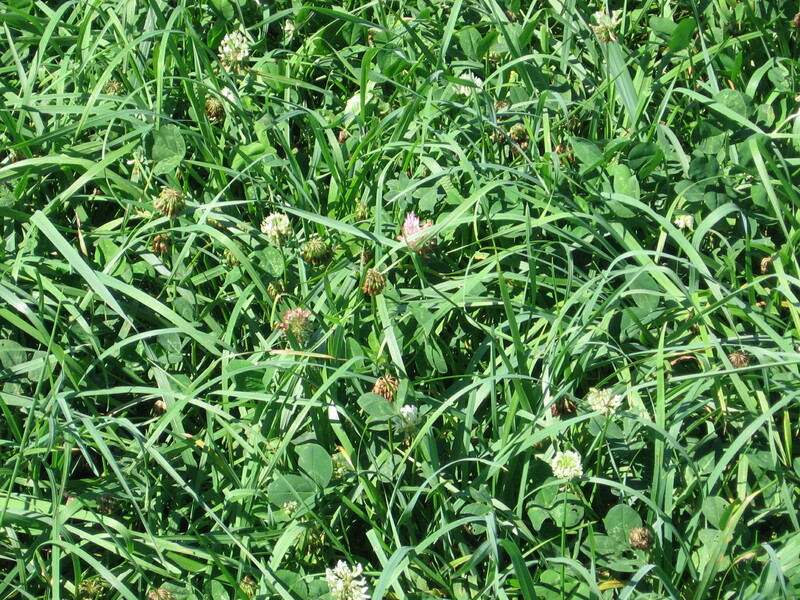 Are there any standing forages that can still be grazed without damaging the soil and ground cover? Is there any harvested forage residue such as corn stalks that can still be grazed? If feed supplies will still be short, what can you do? 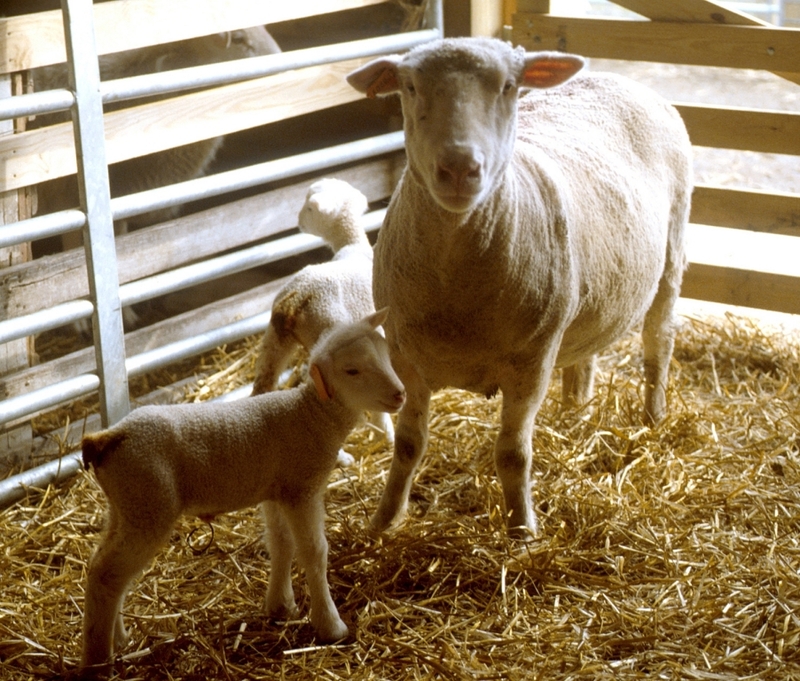 Are there some animals that are not as productive that can be culled? If feed needs to be purchased, compare feed on an equal footing. For example, a pound of corn has twice the energy as common hay and can replace a portion of a diet of a ruminant animal. At under $4.00 a bushel, corn is a viable option. For many of us without adequate ground water or public water, a long dry period can be a challenge. For many in the rolling Appalachian foothills where I live, springs have been the primary source of water. Over the past 50 years, these springs have been developed and many farms have no more to tap. With the potential for a dry summer in 2018, we need to be prepared to better utilize our potential water sources. What are your options? On my farm, the last option I have is to develop a pond and have a water tank available for livestock as all of my springs have been developed. Planning for weed control is critical. Spotted Knapweed continues to spread in Southeast Ohio and it is critical to scout and eradicate this weed. I have succeeded in keeping it off the farm for the past five years by controlling the weed along the road, but I had a couple areas in the pastures starting to become established, and I controlled by pulling and/or using a herbicide. I plan to monitor those areas more frequently in 2018. It is much easier to control when the area is small. If you miss a year, it can overtake the field in the next year. Is there anything we can still do for this year? This is where we need to check finances and our inventory. We still have time to affect our bottom line for 2017. Is there any equipment that needs to be purchased or replaced? Tax laws are favorable for depreciating equipment this year and there may be some great deals purchasing now versus next spring or summer. Can you prepay for some inputs this year such as fertilizer or seed? Are there some unproductive animals that may be sold to generate additional income if needed? Now is the time to set goals for next year. Goals are set each year to provide a benchmark for measuring your success. They are SMART: specific, measurable, attainable, rewarding, and timed. If you identified goals for 2017, now is a great time to see if they were achieved. I did achieve goals of putting up more hay, extending the grazing season, and helping my son with his 4-H feeder calf project. I did not achieve a goal of adding another paddock or fertilizing pasture and hay fields. If goals were not achieved this year, why? Can they be modified and accomplished next year? If you have some time, consider what some the longer term objectives for your family and operation are. This will help identify some goals for 2018 to achieve those plans. For example, if you have been considering an estate plan for your farm, make it a goal for next year. Several years ago, this became a goal for me and my wife, and we identified what we had in mind, picked a time to see an attorney, and then followed through. Now it is complete (it still may need to be revised as conditions change). Some other goals could be reseeding a field, adding paddocks, improving genetics of the herd, developing new marketing strategies, or taking a trip with the family. If you set your goals now, you can have a more focused plan for what you want to achieve in the next year. Don’t forget to receive input from family members and employees so everyone is on the same page. Finally, when I set my goals, I try to divide them into no cost, low cost, and high cost; and how much time they will take. This seems to help in the process of prioritizing goals. Posted by Braden Campbell at 8:00am December 22, 2017 Posted in Forages and Pasture and tagged Economics, Forages and Pasture, Management. Bookmark the permalink.